Lasagna is a classic dish that’s tasty and easy to make. It can be made quickly and is also a rather substantial meal, making it perfect for a large family dinner and for entertaining. However, if you’re looking for a lasagna that’s a little different than the traditional recipe, you’ll want to give this matzo lasagna recipe with roasted eggplant and onion a try. It’s an impressive dish, whether made for a weeknight dinner or for Jewish holidays. After trying this tasty, low-calorie vegetable lasagna, please make sure to share it with family and friends on Facebook, Pinterest, Twitter or Instagram. 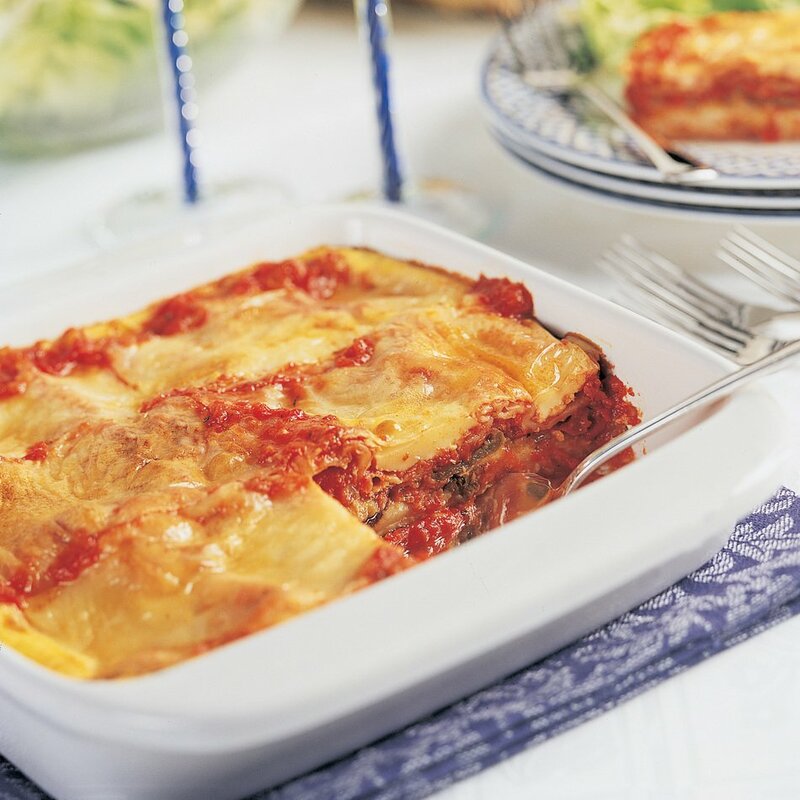 To make 6-8 servings of this lasagna with roasted vegetables and matzo meal recipe, you’ll need one medium eggplant, an onion, some peanut oil, salt and pepper, meatless marinara sauce, matzos, Cabot Sharp Lite50 Cheddar, eggs and milk. Arrange the peeled and sliced eggplant and sliced onion on a broiler pan and pre-heat the mixture in the broiler. Set the mixture aside. 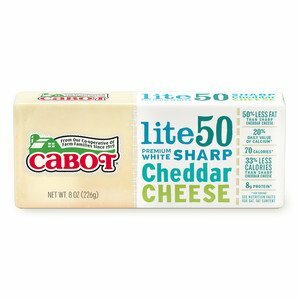 Spread marinara sauce over the bottom of a baking dish and top it with matzo and slices of Cabot Sharp Lite50 Cheddar. Then layer the eggplant and onion with some additional sauce and add the remaining matzo. Add the eggs with milk and bake at 350°F for 45 minutes to an hour. Let the dish cool for about ten minutes before digging in. Looking for another flavorful, light lasagna dish? You’ll love our Light & Classic Lasagna Recipe. As a co-operative of over 800 farm families, Cabot is dedicated to creating the highest quality products and recipes that best showcase the fresh flavors of our products. Please share your thoughts on this matzo lasagna recipe after you’ve tried it by rating and reviewing it. PREHEAT broiler. Spray a broiler pan with non-stick vegetable spray. ARRANGE eggplant and onion on prepared broiler pan and brush generously with peanut oil. Sprinkle with salt and pepper. PLACE under preheated broiler. Cook 2-3 minutes on each side until vegetables are beginning to brown and soften slightly. TURN off broiler and set aside. SPREAD ½ cup marinara sauce over the bottom of a 9-inch square baking dish. TOP with a sheet of matzo and then with 5 slices of Cabot Sharp Lite50 Cheddar. Layer the eggplant and onion on top and pour 1 cup of the marinara sauce over. TOP with remaining matzo, marinara sauce and cheese slices. WHISK in a small bowl the eggs with milk. Pour over ingredients in baking dish. BAKE in preheated oven for 45 to 55 minutes or until lasagna is set in center. Cool for 10 minutes before cutting into portions with a sharp knife.